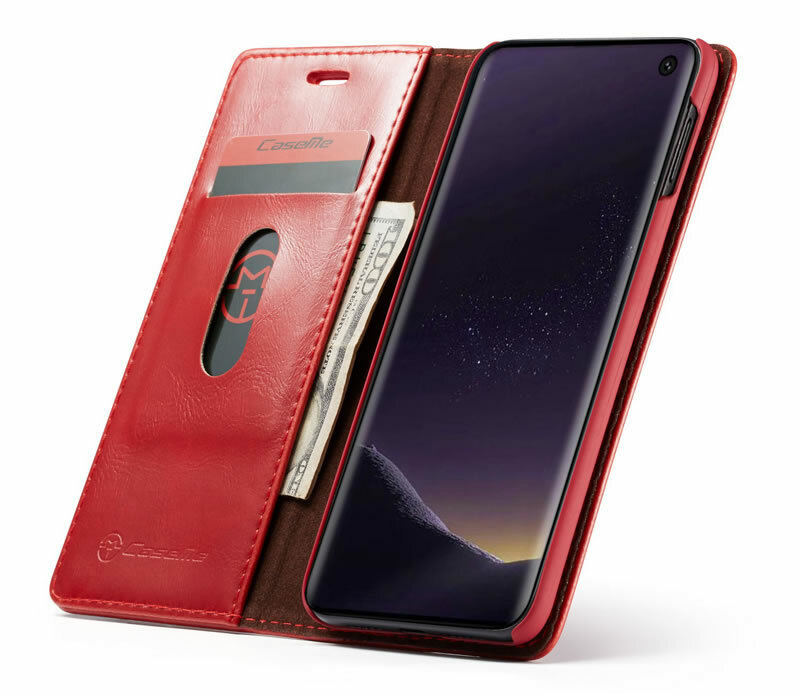 Free Shipping, Buy CaseMe Samsung Galaxy S10e Magnetic Closure Flip Leather Wallet Phone Case with 1 credit card slots at the official Casemecase.com. 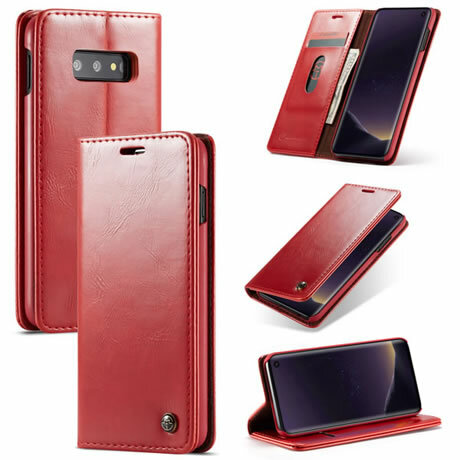 Specially designed and Perfect fit for Samsung Galaxy S10e Wallet Flip Case, Made with Premium R64 PU Leather Import from Italy Material, 100% high quality premium soft, smooth leather. 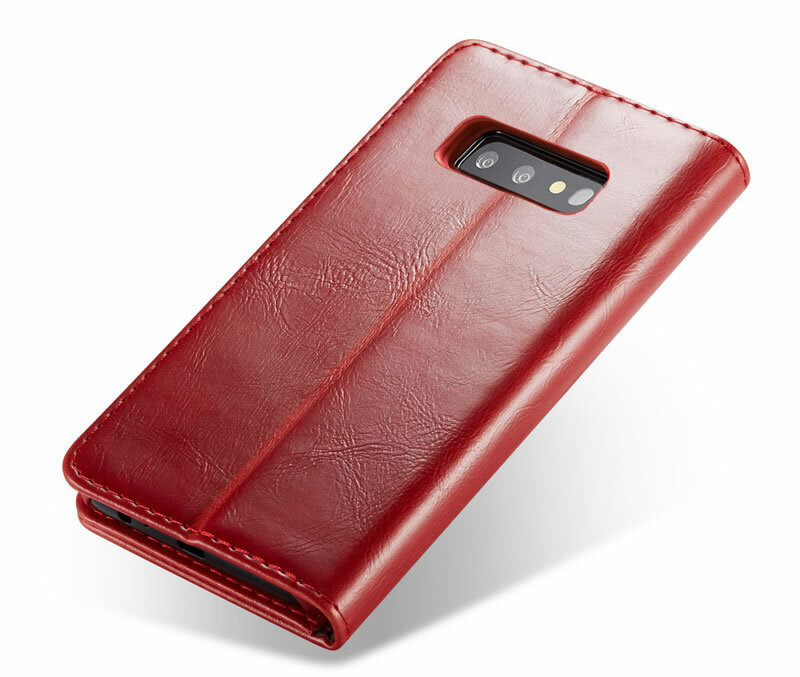 1 Credit Card Slot + 1 Bill Card Slot, carry around your credit and debit cards, and cash without having to take your wallet with you. 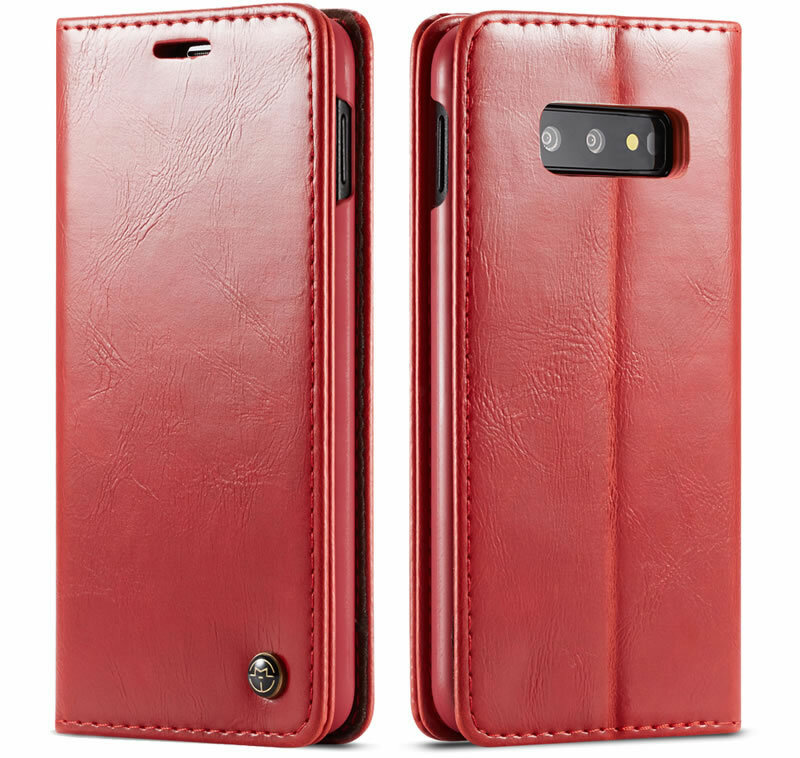 High Quality PU Leather Fashionable Pretty Case, Give excellent Protection for the Phone,Prevent your phone from dirt, scratching and bumpping,Tailored for Samsung Galaxy S10e. 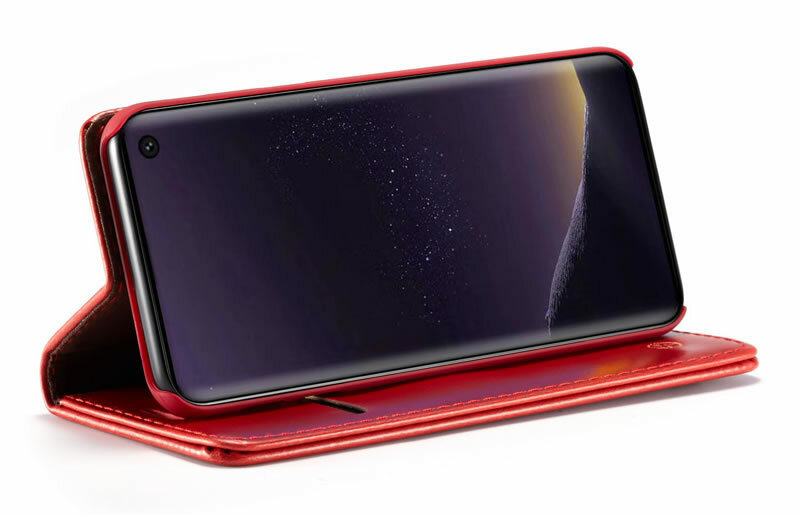 The adjustable kickstand supports multiple horizontal positions, with the convenient hands-free design, Easily view movies, Stream videos or browse the web. Magnetic flap to keep it closed and protected, secure magnetic closure. 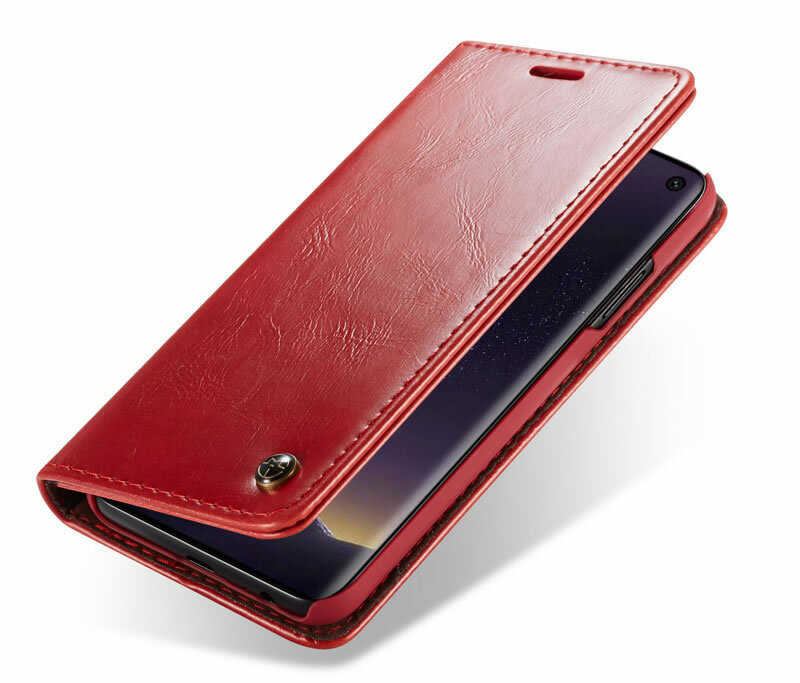 Perfectly Fit For Your Smartphone, The Precise Cutouts Allow Full Access To Lens/ Flash/ Charge & Earphone Ports.